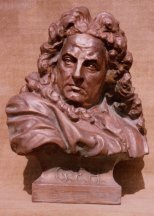 The bust of Handel by Petr Novák is really exquisite - properly speaking, it is currently the best likeness of the composer in the third dimension. 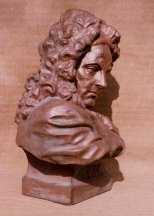 The Czech Handel Society brings a series of seven bronze casts of the bust of George Frideric Handel by Sculptor Petr Novák from Jaroměř, Czech Republic. According to legislation, each of these seven casts is an original. Six buyers can now be satisfied as one cast has already been delivered. For a better visualization, there is available a high-quality colour picture postcard with the cast No. I/VII. 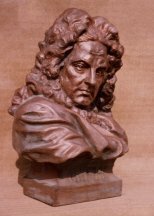 Orders are accepted, in succession, at info@haendel.cz.